There’s a lot to consider when upgrading your HVAC system, including how much heating and cooling capacity it should have to keep your home comfortable year-round. You want to keep your HVAC system’s overall size closely matched to your home’s size and climate control needs, otherwise you could find yourself wasting energy and money. Unfortunately, many homeowners end up purchasing an HVAC system that’s often too large for their homes to handle. Below, we explain why oversizing your HVAC system could end up being a major drawback for your home’s overall comfort and energy efficiency. What Makes an HVAC System Oversized? To understand what makes an HVAC system oversized, you should understand how heating and cooling systems are measured. For example, furnaces are typically measured in British thermal units, or BTUs for short. This measurement basically describes the amount of work needed to raise the temperature of a pound of water by one degree Fahrenheit. Meanwhile, air conditioners are usually rated in tons, with a single ton of nominal cooling equaling 12,000 BTUs. A 4-ton A/C unit produces approximately 48,000 BTUs of cooling capacity. Every home requires a particular amount of heating and cooling capacity for optimal comfort. An oversized HVAC system is usually one that offers a higher capacity in relation to your home’s size. For instance, a home that only needs 18,000 BTUs of heating and cooling capacity won’t benefit from an HVAC system offering double or triple that capacity. What Issues Does an Oversized System Have? If you install an oversized HVAC system, you could experience any of the following issues. An oversized HVAC unit can make your home’s inside temperature uncomfortable. An HVAC system with excess capacity can heat or cool your home faster, but that speed often results in a couple of other issues. First, your home won’t benefit from gradual, even heating and cooling. As a result, you could end up with a number of hot or cold spots throughout your home. Second, in cooling mode, appropriately sized HVAC systems dehumidify the air as it’s cooled. Oversized HVAC systems usually don’t run long enough for the dehumidification process to take place, resulting in cool but moisture-laden air that feels clammy and uncomfortable to most people. These issues can have a major impact on long-term comfort. In addition, having too much capacity can also result in higher energy costs over time. Short cycling can wreak havoc on your HVAC system if left unchecked. 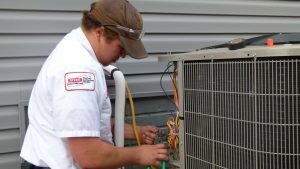 The constant starting and stopping can add unexpected wear and tear on the compressor, blower fan motor, and other HVAC components. The average residential HVAC system can last for 15 to 20 years with the proper amount of care and maintenance. Unfortunately, most oversized HVAC systems are don’t live that long. 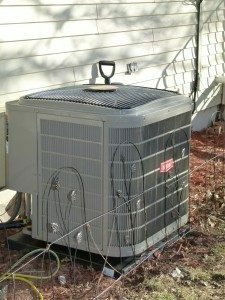 Due in large part to the short cycling issues mentioned above, components on an oversized HVAC system are more likely to fail sooner than those on a properly sized HVAC system. As a result, you may end up having to replace your HVAC system sooner than expected. To properly match a home’s new HVAC system with its estimated heating and cooling needs, HVAC contractors must not only calculate the square footage of your home’s total space but also consider a broad range of factors, including current ductwork design and the local climate. 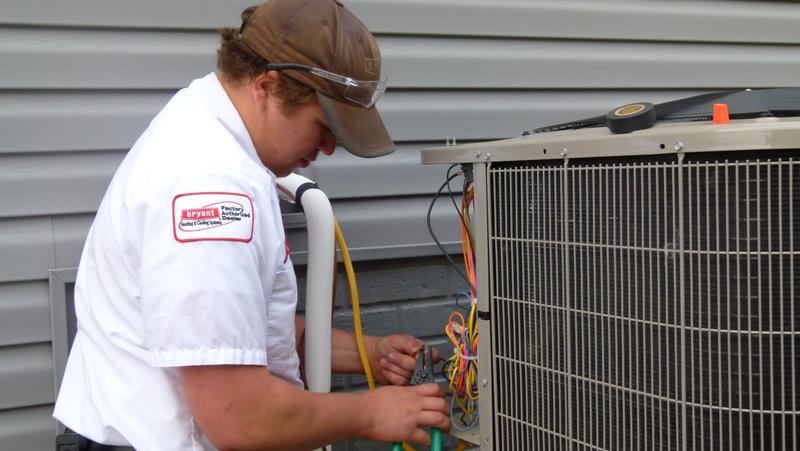 If you need to make a change from your oversized HVAC system, schedule an appointment today.